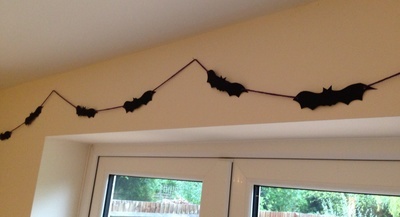 Create some cheap and easy Halloween bat bunting - a great decoration for a Halloween party! Cut out a bat shape template. 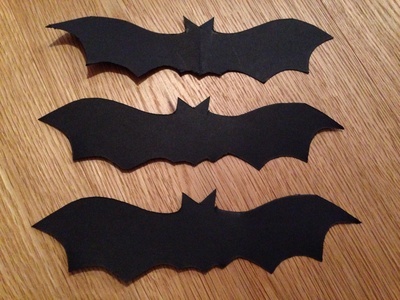 Use the template to cut out lots of bats - I made 12 bats from two pieces of A4 card stock to make bunting to go across the length of one room. Use the hole punch to make a hole at the edge of both bat wings. Thread the wool or ribbon through the bats, ensuring the wool goes at the back of each bat. Your bunting is now ready to hang. 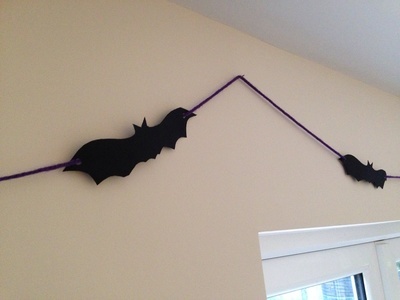 Have you got any good Halloween decoration ideas? Click on "Write for us" to share your project.